Michelle and Pawel are a delightful, sweet couple! 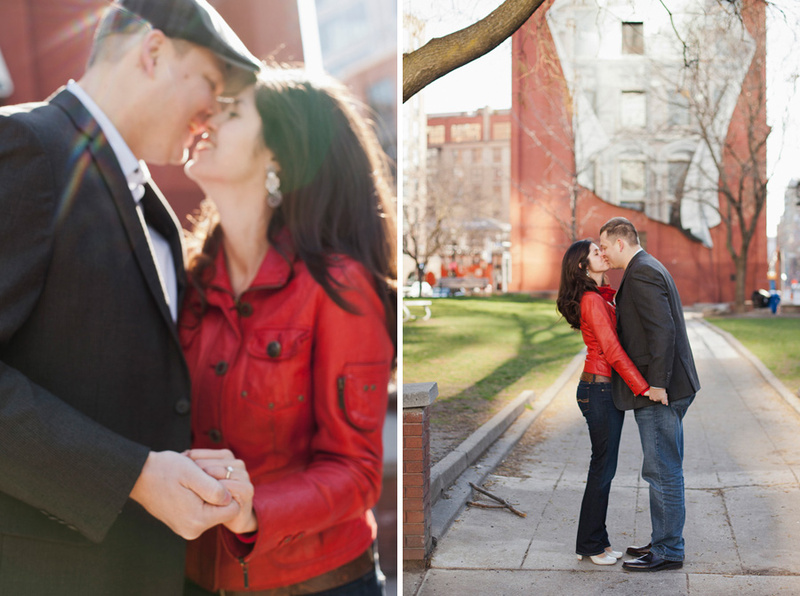 We met in downtown Toronto, one cold but sunny Sunday morning in April to do their engagement photos. They were so playful and funny - they must be morning people! We walked about the Flatiron Building in Toronto and totally lucked out! The early morning light reflected off the skyscrapers nearby, casting a beautiful glow over the vintage brick and ironwork, illuminating the whole park. Um, can we say totally in love?! Life doesn't get much better than this. I'm truly looking forward to the big day with these happy lovers. Click here to check out Michelle & Pawel's simply beautiful summer wedding.